The Rainbow Womb Medicine path once thrived in our country and on our continent. It is now widely accepted and scientifically proven that the people of origin – The San – Khoe – Bushmen were found to live in harmony with all of creation on our continent. All those who came after, learnt all there was to learn about the herbs, plant medicines, water sources and the indigenous wisdom ways of survival from our rainbow people of the eland. Most of this knowledge has been distorted, claimed and reclaimed by many within our country and throughout the world. The feminine codes of the motherland medicine are calling to be remembered, grieved, reclaimed and celebrated by women and men here in our country and our continent. The ancient Nama (click) language returns and is being spoken again in our country and across our borders.The songs are being sung and we are dancing and praying the ancient wisdom ways home to ourselves and throughout our motherland.Throughout my healing journey and during my womb journeys of remembering, the pyramid of ancestors within me – Bushmen, Indian, and Irish came to find peace within me.This Rainbow ancestral constellation allows me to be a rainbow bridge between different cultures, races and belief systems and between the indigenous and the emerging. I offer this work in honour of all my ancestors, for the benefit of mother earth and for the next generations. I serve only the Love that heals all things. 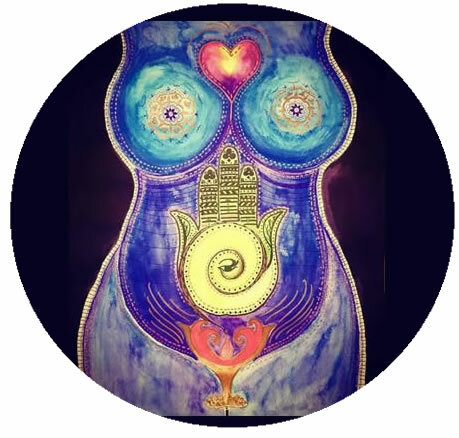 This feminine codes of the motherland womb medicine of the motherland will be shared in Womb Health Medicine workshops and Pilgrimages over the next year. May we remember that we are an interconnected web, a cellular network able to join hearts and wombs in order to bless self, each other, our families and our communities. May all of life be blessed by our efforts.